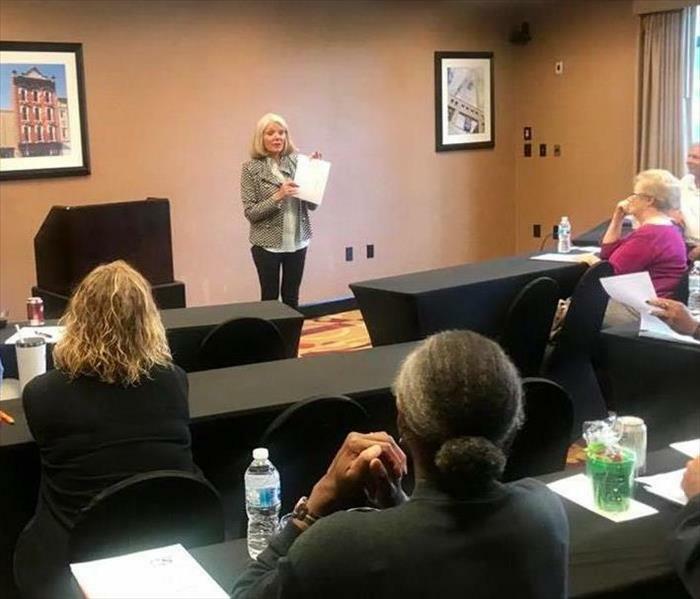 Our team sponsored 2 Continuing Education Courses for our Insurance Professional friends at the Wingate By Wyndham hotel in Cary, NC. 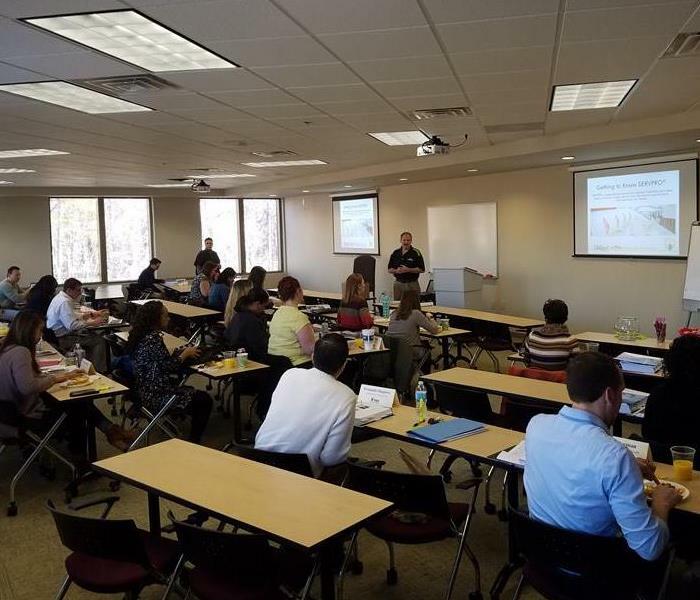 The classes were presented by Carolina Insurance School. Thank you to all attendees for joining us! 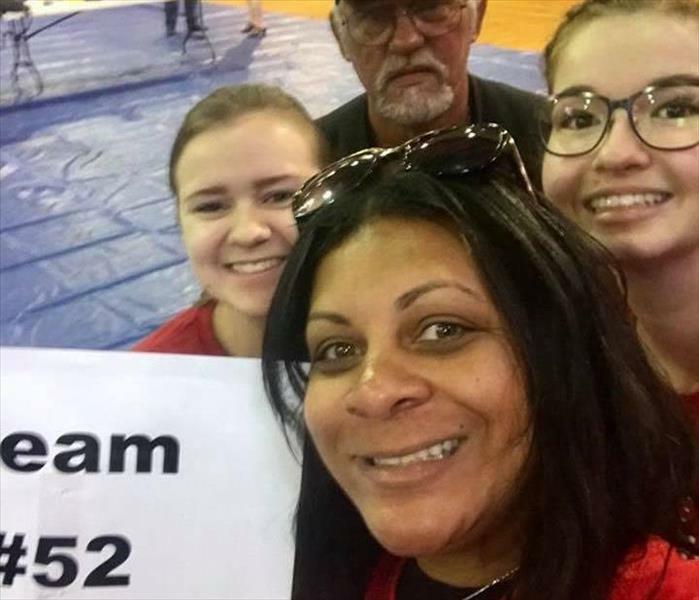 Our team installed smoke detectors in 25 homes for the American Red Cross - Eastern North Carolina “Sound the Alarm” event in Raleigh! 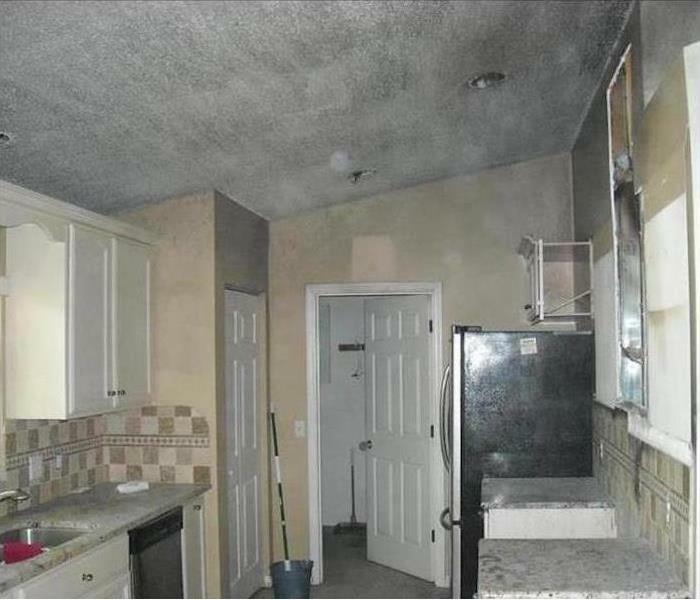 It was an honor to give back to the community and educate residents about fire safety. Thank you Master Trooper Randy Bridges and The North Carolina Department of Public Safety NC State Highway Patrol for a very informative and educational safety training for our team. 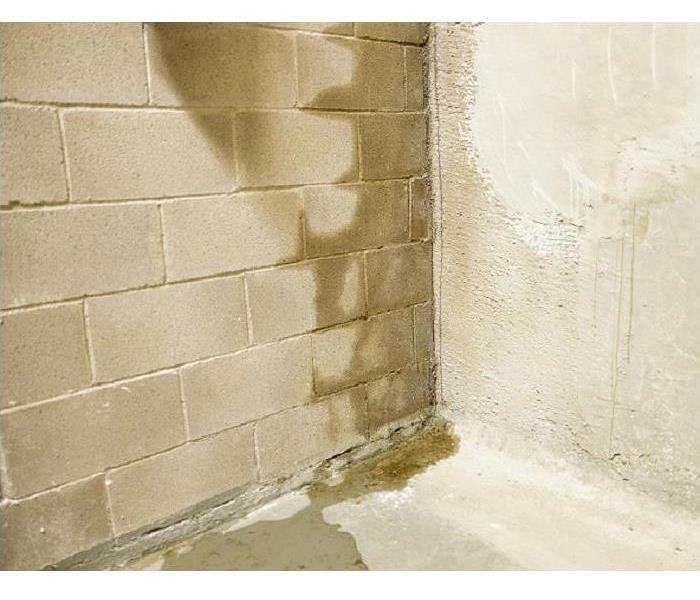 Thank you for your service to the community! 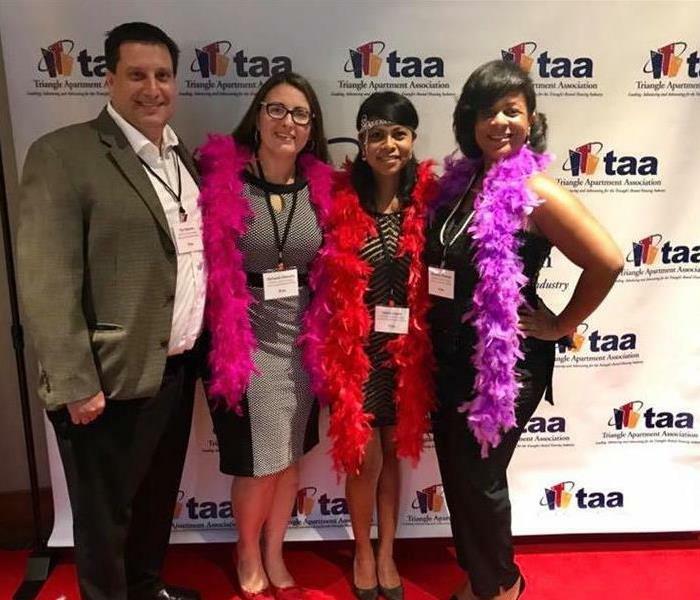 Our SERVPRO marketing team had a wonderful time at the Triangle Apartment Association Roaring Twenties Casino Night Event! 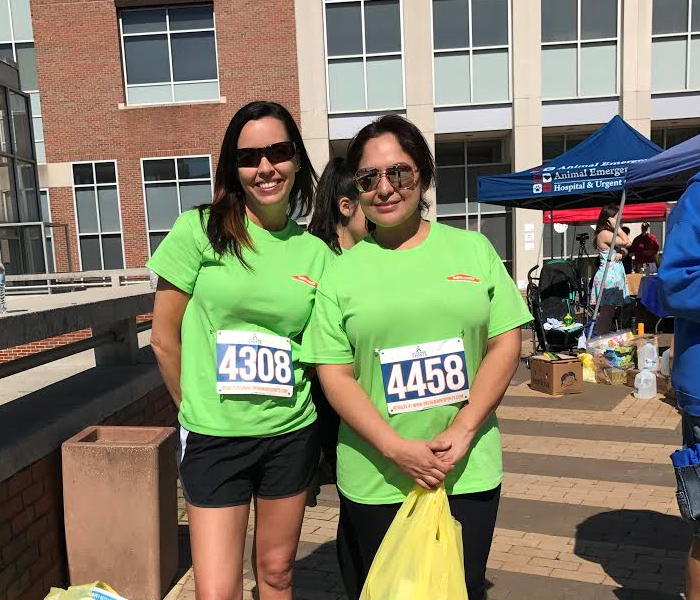 Many thanks to Ginny Higgins, Office Manager at SERVPRO of North Raleigh, Wake Forest & North Durham for organizing our sponsorship for the Racing for Rescues Event with Second Chance Pet Adoptions in Raleigh. Thank you Ginny, Christin, Margareth, Julio and Amanda for all being part of this special event! 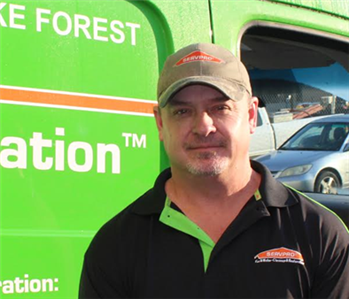 Go SERVPRO Tails on Trails! This is Idalia Lopez's first event! 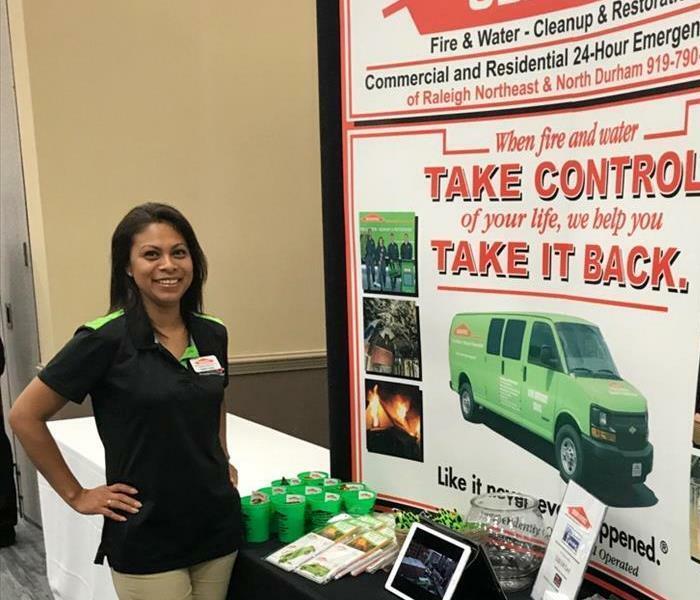 She represented SERVPRO with enthusiasm at the Greater Raleigh Chamber of Commerce Business Showcase. She enjoys being able to meet new faces and network with other businesses in the community. 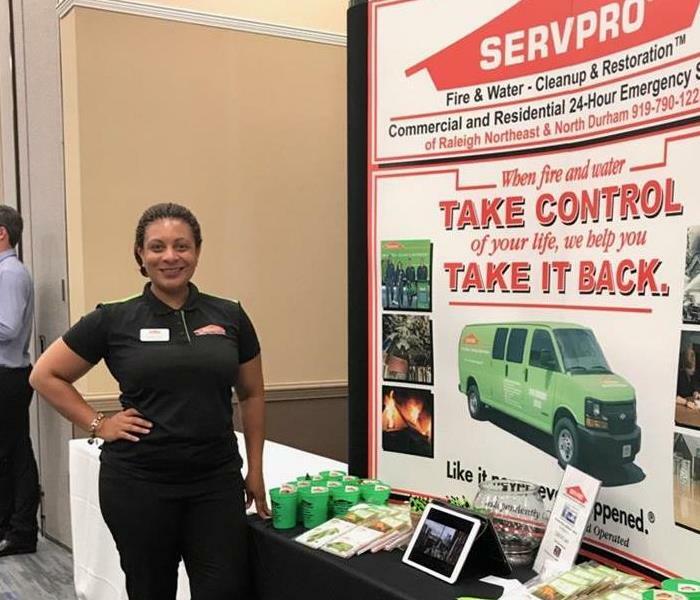 Akeshia Thomas went to represent SERVPRO of North Raleigh and Wake Forest at the Greater Raleigh Chamber of Commerce Business Showcase event. She had a wonderful time interacting with other businesses in the community. 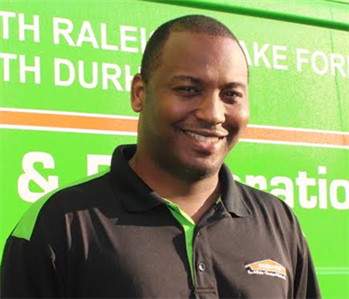 SERVPRO® works with local property managers and apartment complexes within the Triangle community. Here our marketing team is hosting a breakfast event.